Barcode scanning at patient bedside is crucial in preventing medication and specimen mixups - two of the potentially deadliest errors in a hospital. but scanning barcodes in a hospital can be a challenge. There are many types of barcodes including traditional paper-based, those displayed on an electronic screen, codes printed on curved surfaces, high density codes printed on very small items and barcodes in all types of conditions - from smudged to scratched and poorly printed. 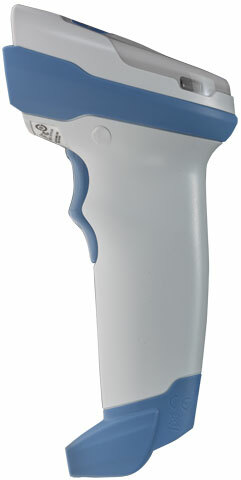 Now, you can give your health care workers the ability to scan them all with the Ds4308-HC. This feature-rich next generation 2D imager resets the bar for scanning performance, scanning range, versatility and ease-of-use. The result? The priceless peace of mind that the right patient received the right medication and the right test results, every time. The DS4308-HC - the ideal companion for laptops on workstation-on-wheels (WoWs) and other types of carts in your hospital. 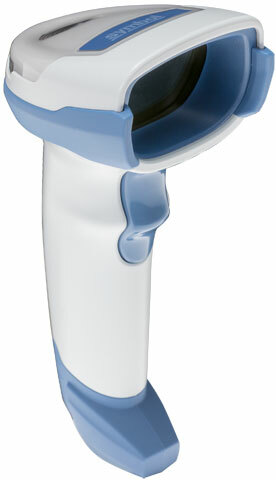 SCANNER ONLY, 2D Imager, Health care. Cables sold separately.